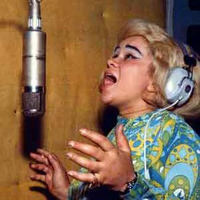 The definitive version of At Last was recorded by Etta James in 1960. Uploaded by media.avclub.com. 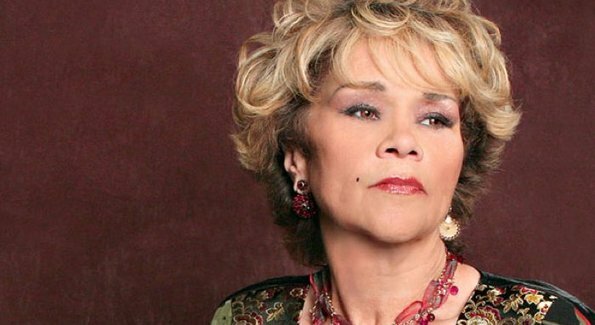 It’s the 1960 recording by Etta James that makes the list of Great American Things. The song itself has been around since 1941, when Mack Gordon and Harry Warren wrote it for the movie musical Orchestra Wives. The song became a hit for Glenn Miller (Great American Things, August 27, 2009) in 1942 and Nat King Cole (Great American Things, November 2, 2009) did a great version in the fifties. It had become recognized as a standard, but then — oh, then Etta James included it on her debut album. And we had the definitive version. 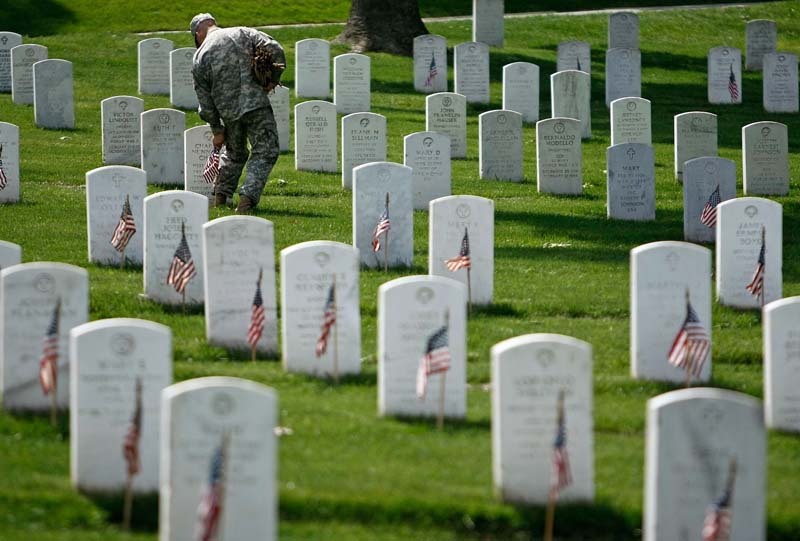 For Memorial Day, U.S. soldiers place American Flags on each gravesite at Arlington National Cemetery, some 260,000 in all, in a ceremony called Flags In. Uploaded by militarytimes.com. Uploaded to Flickr by grid.epsilon. Among the thousands of gravestones at Arlington are a number of specific memorials. Most famous of these is the Tomb of the Unknowns, symbolically honoring all those who died and whose remains were never identified. Other memorials are dedicated to those who died on the space shuttles Challenger and Columbia, Pierre L’Enfant (the designer of Washington, DC), the victims of Pan Am flight 103 over Lockerbie, Scotland, the victims of the September 11 attack on the Pentagon, and women who served in the military. 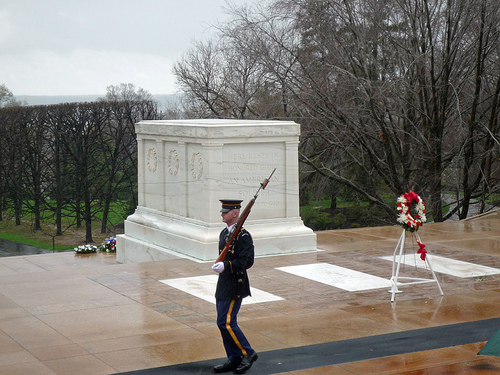 About 27-30 funerals are conducted at Arlington each day, some 6,900 each year. The total number of people interred at Arlington totals just under 300,000. Among the military notables buried at Arlington are Gregory “Pappy” Boyington, Omar Bradley, William “Wild Bill” Donovan, Abner Doubleday (who was a Civil War general), William “Bull” Halsey, Audie Murphy, Francis Gary Powers, Hyman Rickover, Philip Sheridan, and John J. Pershing. The American Film Institute named Singin' in the Rain the best musical of all time, and the number ten film. 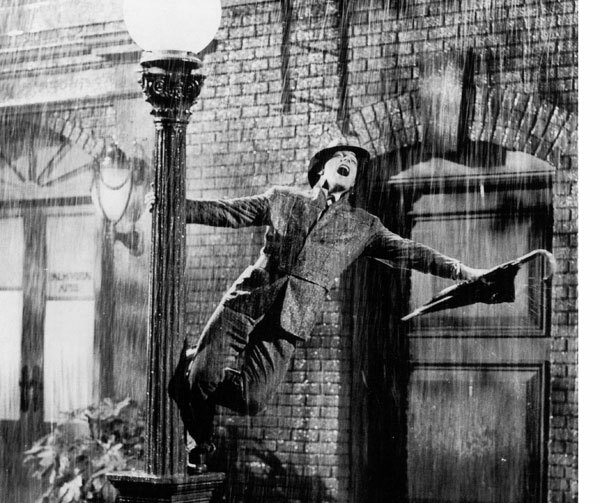 The top dances aren't ranked, but Gene Kelly's has to be in the top five. Uploaded by fishing4fun.co.uk. For some folks, musical comedy is a film genre they just can’t tolerate. 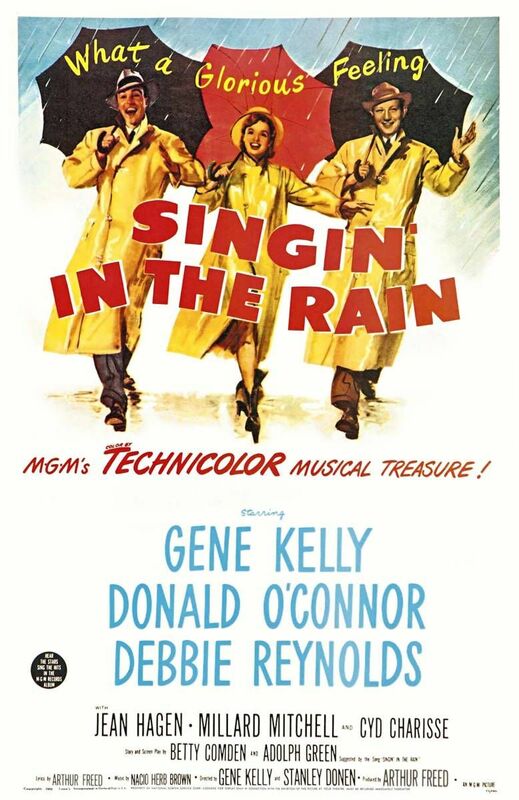 That’s too bad, because Hollywood hasn’t made many movies in any shape or form that offer the combination of great songs, amazing dance, and delightful comedy that characterizes Singin’ in the Rain. The plot of the movie centers around the transition from silent films to talkies. There are the usual high jinks, misunderstandings, and opposites falling in love that comedies are noted for. All performed by an inspired cast, led by Gene Kelly, Debbie Reynolds, Donald O’Connor, and Jean Hagen. But singing and dancing are the real stars of the show. Interestingly, most of the songs weren’t written specifically for this movie. “Make ‘Em Laugh,” for example, was dangerously close to another song, “Be a Clown,” used in another film (The Pirate) four years earlier. And the title song goes all the way back to the Hollywood Revue of 1929. As for dancing, it’s hard to say whether Donald O’Connor’s athletic antics or Gene Kelly’s joyous splashing displays the most talent. But since it’s the iconic moment of the film, we’ll give the nod to Kelly. He’s always been slightly overshadowed by the brilliance of his contemporary, Fred Astaire (Great American Things, November 13, 2009), but Kelly’s talent on display here takes second billing to no one. 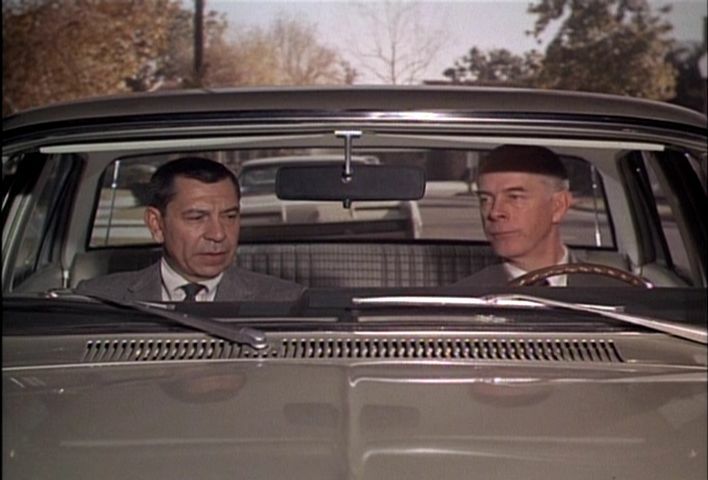 Dragnet aired originally between 1952-1959, and was revived in 1967. It's this second incarnation that featured Harry Morgan as Joe Friday's partner Bill Gannon. Uploaded by absoluteanime.com. It has to be the most-parodied television show ever. 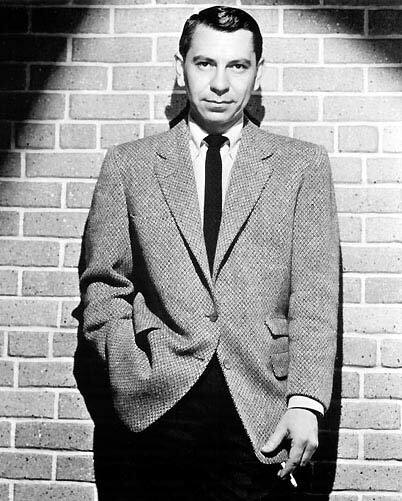 Jack Webb’s deadpan delivery, name (Joe Friday), catchphrase (“Just the facts, ma’am), and four-note musical introduction provided an irresistible vehicle for jokesters. And yet, if the show hadn’t embedded itself so deeply in the national consciousness, such humor would have been impossible. Webb was not only Dragnet’s star, he was also its creator and producer. He appeared as a crime scene investigator in a 1948 film done in a semidocumentary style, and became intrigued with police procedures. He became convinced a show could be successful using actual law enforcement stories and dialogue, free of melodrama. He frequented police headquarters, went along on night patrols, and even attended Police Academy courses to be sure he got the details right. Dragnet moved to TV in 1952 with much of the radio cast and production team intact. It was again a huge hit, running until 1959 and ending then only because Webb wanted to move on to other projects. It was later brought back for another run, this time between 1967 and 1970. It was on this revival that Harry Morgan played Sgt. 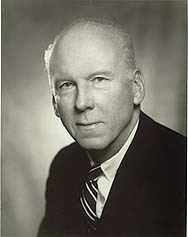 Friday’s partner Bill Gannon. Sally Field is two-for-two in the Academy Awards, having won for Norma Rae (1979) and Places in the Heart (1984). Uploaded by yourlifemagazine.com. Chances are your age will determine which picture of Sally Field comes to mind first. She’s worked professionally in six decades now — and she’s only 63 years old. The first stage of her career focused on her television roles. First as Gidget, having taken the role originated by Sandra Dee in the 1959 movie, then in The Flying Nun for three seasons. She was adorably cute in both series, and as a result found herself unable to be taken seriously for dramatic parts. Then came Sybil, a two-night television movie in which Field played a young woman with multiple personalities. Or dissociative identity disorder if you prefer. Either way, the film established her acting bona fides, earning her first Emmy for Outstanding Lead Actress in a Miniseries or Movie. That led to a couple of movies with her then boyfriend Burt Reynolds, most notably the cult favorite Smoky and the Bandit. Then came her biggest career break of all, the title part in Norma Rae, for which she won Best Actress in the Academy Awards, the Golden Globes, and the Cannes Film Festival. Other big hits followed, including Absence of Malice, Places in the Heart (another Oscar), Steel Magnolias, and Mrs. Doubtfire. She also starred in two smaller films that are among my favorites – Murphy’s Romance and Soapdish. Now her career has come full circle, as she’s back on television on Brothers & Sisters, for which she’s won another Emmy and another Golden Globe. 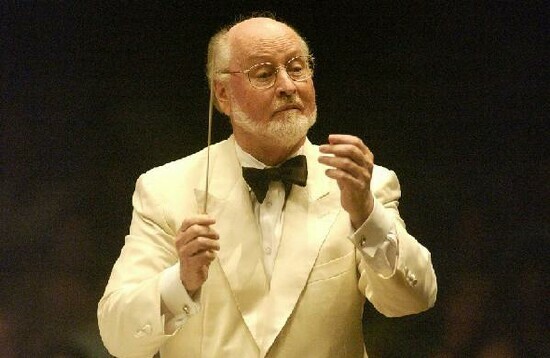 During his six decades as a conductor, John Williams has earned 45 Academy Award nominations and received 21 Grammys. Uploaded by fidgit.com. Can a composer’s entire reputation be validated on the basis of just two notes? Beethoven needed four notes to embed his iconic Fifth Symphony into our consciousness. Well, John Williams did the master two better — the first two notes of the motif for the shark in Jaws are perhaps the most memorable in movie history. Known best for his film scores, Williams broke in via the small screen. He composed music scores (though not the theme songs) for a number of series, including Lost in Space and Gilligan’s Island. Hollywood took notice, and soon he was writing music for film. He received his first Academy Award nomination in 1967 for Valley of the Dolls, and won the first time two years later for Fiddler on the Roof. His music caught the attention of an upcoming young director named Steven Spielberg (Great American Things, July 22, 2009). 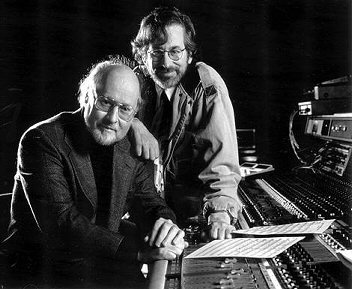 Spielberg hired Williams to score his first movie, Sugarland Express, but it was his second movie — Jaws — that earned the maestro his second Oscar, and brought him from the background into the spotlight film composers seldom see. Since then, Williams has scored such hits as Close Encounters of the Third Kind (creating its distinctive five-note theme), the original Star Wars trilogy, The Poseidon Adventure, Superman, three Indiana Jones movies, E.T. the Extra-Terrestrial, Born on the Fourth of July, Home Alone, Saving Private Ryan, Jurassic Park, Memoirs of a Geisha, Schindler’s List, and the first three Harry Potter films. In all, Williams has received an astonishing 45 Oscar nominations, and won five statues. 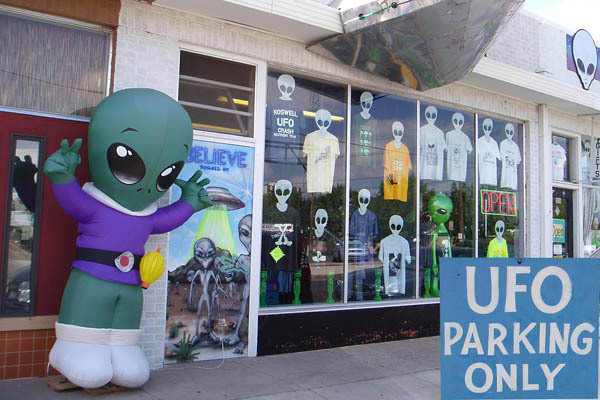 Roswell would like you to come for all its various attractions. But they know, deep down, you're only interested in E.T. et. al. Uploaded by theeasytraveler.com. In July, 1947, E.T. 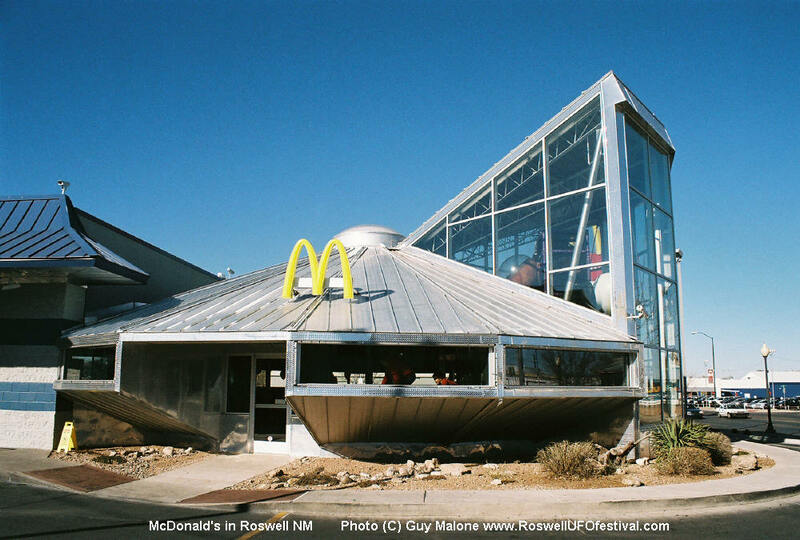 couldn’t phone home, because his flying saucer crashed about 30 miles from Roswell, New Mexico. Or not. We’ll probably never know. The Army says the wreck that turned up outside of Roswell Army Air Force Field was the remnants of a weather balloon. Either way, the incident catapulted this sleepy town in southeastern New Mexico straight into national folklore. Even McDonald's gets into the spirit. Uploaded by roswellufofestival.com. This isn’t the forum to address what the Government said, what the locals said, what the experts said, or what the conspiracy believers said. Something happened in that field, and whether we have the remains of alien critters or not isn’t likely to be resolved. 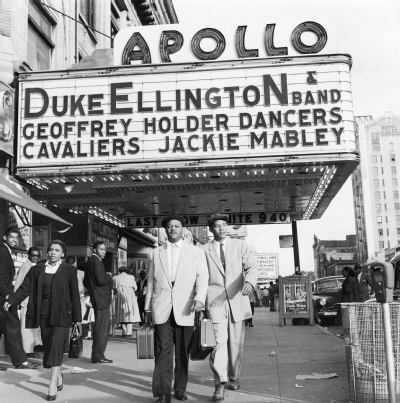 Virtually every African-American performer of consequence has played the Apollo in the last 75 years. Uploaded by emiliogrosso.com. In 1914, a new building was constructed on 125th Street in the Harlem section of New York City. Named “Hurtig and Seaman’s New Burlesque Theater,” the establishment opened with one now quite ironic rule — no African-Americans were allowed in the audience. A couple of decades later, things had changed. Ralph Cooper, Sr. decided to do a live version of his popular radio program “Amateur Night Hour” at what was now known as 125 Street Apollo. The program was a hit, and one of its earliest winners was a special 17-year-old girl named Ella Fitzgerald. (She won $25.) The next year, the theater’s headliners would become musical legends: Bessie Smith and Billie Holiday. 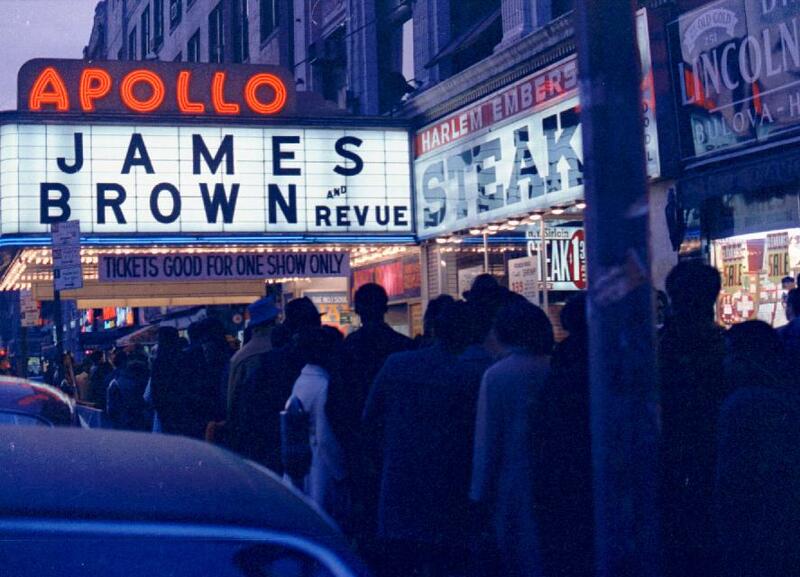 By the mid-1970s, the Apollo fell on hard times, and in 1975 was converted into a movie theater. Fortunately, its place in the history of African-American culture wasn’t forgotten, and Inner City Broadcasting purchased and refurbished the building. It reopened in 1985 with a well-deserved place on the National Register of Historic Places. 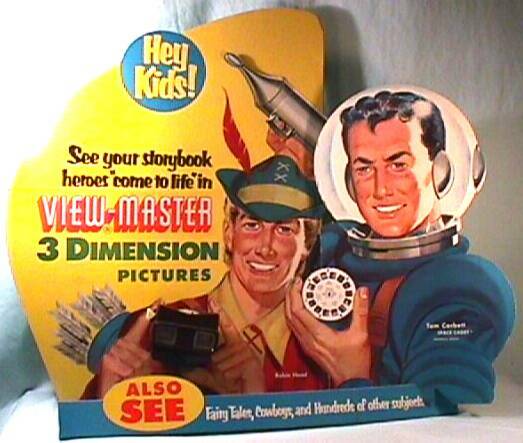 View-Master disks were originally marketed as a replacement for travel postcards. Then somebody finally figured out that the real market was kids. Uploaded by screenrant.com. 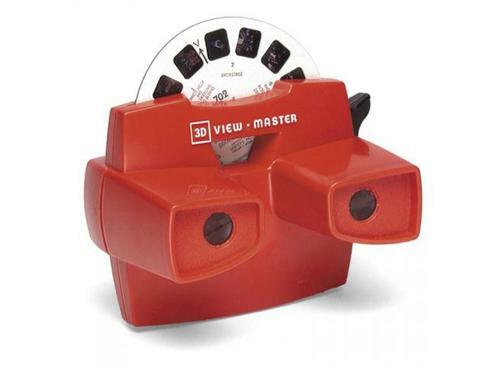 The stereoscope, a way of viewing 3-D images, wasn’t a new thing when View-Master began producing its first viewers and disks. So when it was introduced at the New York World’s Fair in 1939, its purpose was to replace the traditional postcard with travel images. Carlsbad Caverns and the Grand Canyon (Great American Things, August 4, 2009) were the destinations featured on the earliest disks. Although the manufacturers featured some lighthearted subjects along the way, it wasn’t until the early 1950s — and the use of Disney characters and the newly opened Disneyland — that View-Master came into its own as a toy. The company changed hands many times over the years. Its owners have included GAF, Ekco Housewares, Ideal Toy, Tyco Toys, Mattel, and Mattel’s Fisher Price division. Scenics are still produced, but animated characters is still where the real View-Master money is. Participation in the Albuquerque Festival peaked at 1,012 in 2001. Today, with emphasis on quality rather than quantity, there are ONLY 600. Uploaded by filelibrary.myaasite.com. They say it’s the most-photographed event in the world, and that wouldn’t surprise me. Every once in a while a hot-air balloon soars near my home, and I’m fascinated by it. 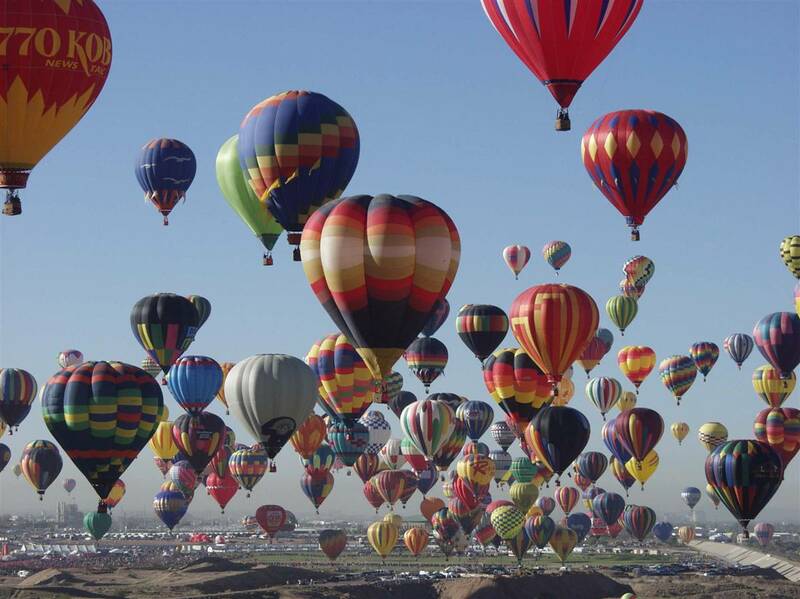 At the Albuquerque Festival, some 600 balloons of all shapes and colors fill the air. That’s just amazing. The festival began back in 1972 with 13 entries. 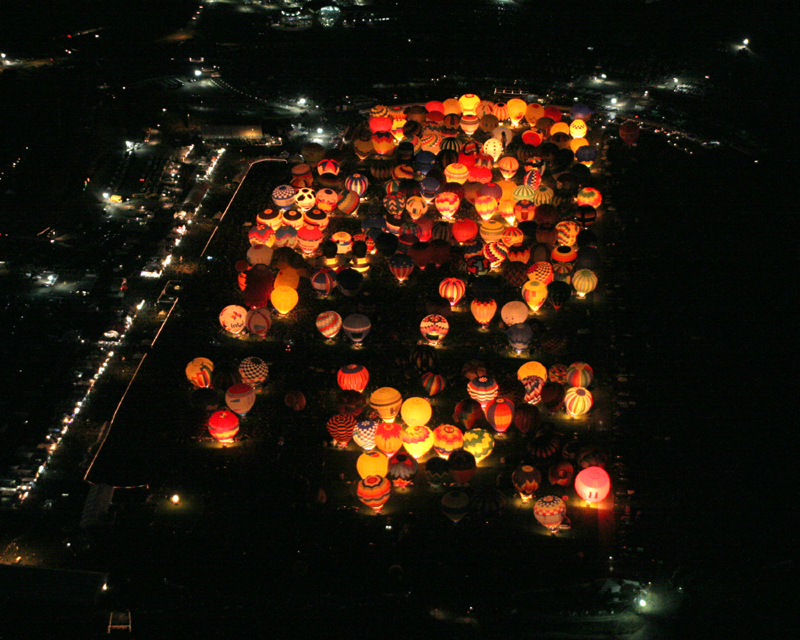 The organizers had tried to top the largest festival in the world, which at the time featured 19 balloons. They got commitments from 21 pilots, but bad weather kept some away. You have to admit that they’ve more than made up for that initial disappointment. Participation peaked at more than 1,000 in 2001, but organizers cut back the total because the skies became just too crowded. 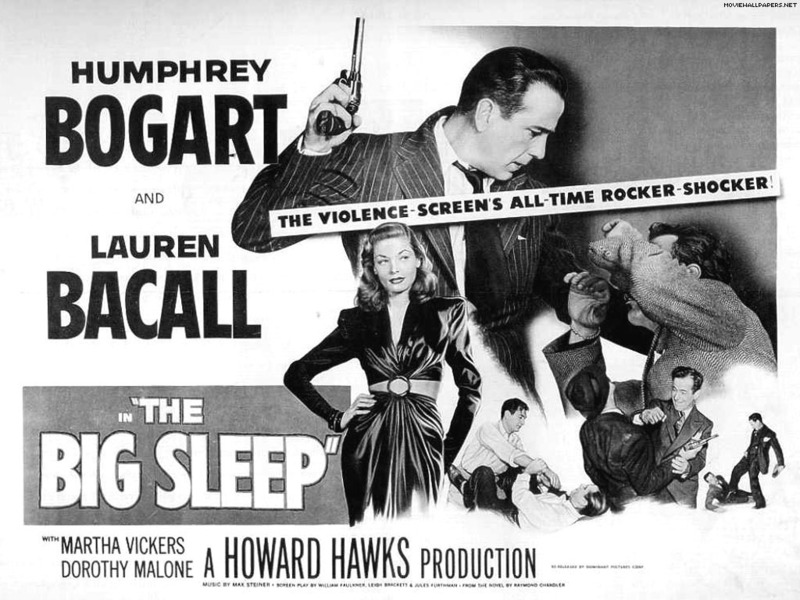 Because of his definite performance in The Big Sleep, we'll always picture Humphrey Bogart as the character of Philip Marlowe. Uploaded by images2.fanpop.com. I’m a little bit sheepish to admit this, but it must have something to do with the two-syllable names. I sometimes can’t remember if Raymond Chandler is the writer and Philip Marlowe is the detective, or the other way around. Maybe after writing this post, I won’t get them confused anymore. Maybe. Chandler was over 50 when his first novel was published. He only completed seven books, but four of them are among the best detective fiction ever published: The Big Sleep (1939), Farewell My Lovely (1940), The Lady in the Lake (1943), and The Long Goodbye (1954). Along with Dashiell Hammett, Chandler helped create what’s known as “hardboiled” crime fiction. Philip Marlowe was a tough, sarcastic, hard-drinking private eye, but one who also showed a more thoughtful, philosophical side. The movies made from Chandler’s novels helped create a cinematic style as well, film noir. 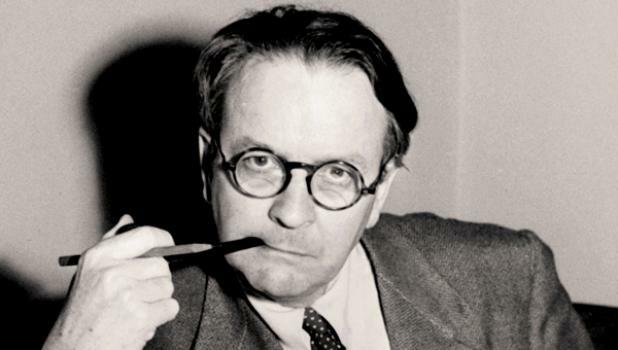 Speaking of film, an underappreciated aspect of Chandler’s literary legacy is his screenplays. He co-wrote (with Billy Wilder) the noir classic Double Indemnity, and also collaborated on Alfred Hitchcock’s Strangers on a Train. Pretty much forgotten now is that Wrigley Field also hosted the Chicago Bears from 1921-1970. Uploaded by farm1.static.flickr.com. 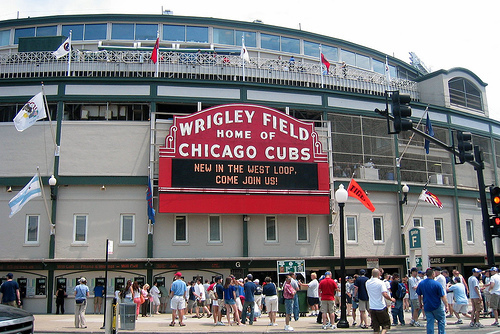 For baseball fans, one of the game’s true shrines is Wrigley Field, a.k.a. “The Friendly Confines.” Located in Chicago, it’s the oldest ballpark in the National League, having been built just two years after Boston’s Fenway Park (Great American Things, June 1, 2009). The stadium was built for the Federal League team, the Chicago Whales. I’m sure a logical reason exists for naming a team the “Whales” in a city that’s a thousand miles from the ocean, but it escapes me. The Cubs took over the park two years later. Uploaded to Flickr by wallyg. The powers that be in Major League Baseball have finally recognized the appeal of distinctive stadiums, after building ghastly cookie-cutter buildings like Riverfront Stadium in Cincinnati and Veterans Stadium in Philadelphia. 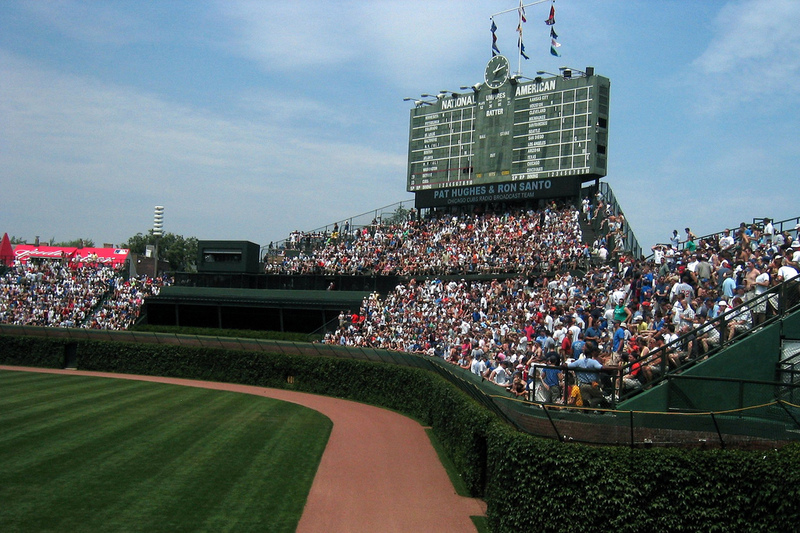 There are so many factors that make Wrigley unique — the ivy-covered brick outfield walls, the marquee over the main entrance, the hand-operated scoreboard, the rooftop seats across Waveland Avenue, and Harry Caray (and now special guests) leading the crowd in singing “Take Me Out to the Ballgame” during the seventh-inning stretch. 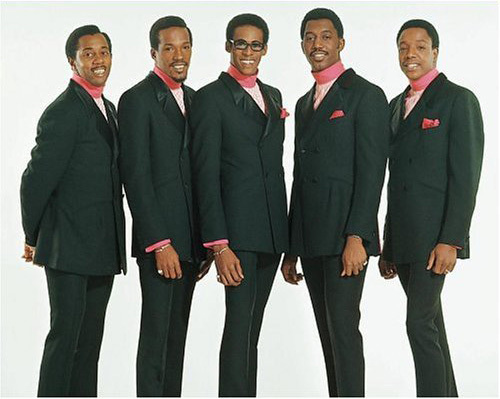 Whether the lead singer was Eddie Kendricks or David Ruffin, the great songs, distinctive choreography, and outstanding production made The Temptations the cream of the Motown crop. Uploaded by gentlebear.wordpress.com. Close your eyes, and you can see The Temptations performing in your mind. One lead singer, four (usually) dancing and singing along. Flashy suits. Excellent choreography. And yet it wasn’t the visual that’s most distinctive about these Motown sensations. It was always the music. 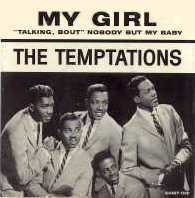 From 1965 to 1973, the group had 16 more Top 20 hits, all but two of which made it at least to number 8. These hits were (with highest chart position): “Ain’t Too Proud to Beg” (13), “Beauty Is Only Skin Deep” (3), “I’m Losing You” (8), “All I Need” (8), “You’re My Everything” (6), “I Wish it Would Rain” (4), “I Could Never Love Another” (13), “Cloud Nine” (6), “I’m Gonna Make You Love Me” (with the Supremes) (2), “Runaway Child, Running Wild” (6), “I Can’t Get Next to You” (1), “Psychedelic Shack” (7), “Ball of Confusion” (3), “Just My Imagination” (1), “Papa Was a Rolling Stone” (1), and “Masterpiece” (7). David Ruffin left in 1968, Eddie Kendricks departed in 1971. The group continued to record and tour, and still tours to this day, though Otis Williams is the only original member still with the group. 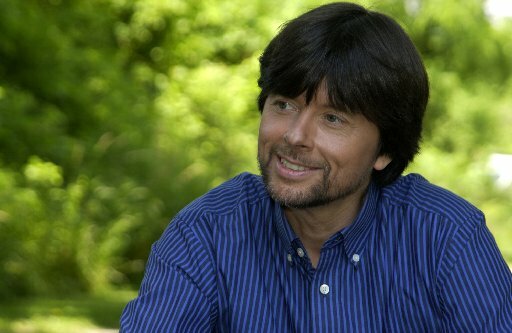 Ken Burns certainly didn't invent the documentary. But he's darn near perfected it. Uploaded by sacbee.com. 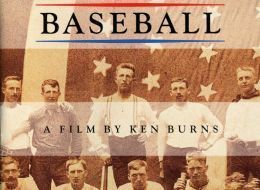 It’s not as if Ken Burns invented the long-form, multi-part documentary. What he did was to bring a sense of style to archive photography and video, a fresh historical context to his subject matter. He didn’t invent the form, but he’s just about perfected it. Beginning in 1981, Burns made several traditional documentaries on topics ranging from the Brooklyn Bridge to Thomas Hart Benton. Then, in 1991, he created The Civil War, a documentary shown on PBS for five consecutive nights. It gave the network its largest audience ever at the time, and is still considered Burns’s masterpiece. It won two Emmy Awards, two Grammy Awards, and a People’s Choice Award. Burns is known for using distinctive music, camera moves on still photos to give the feeling of motion, and interesting and recognizable voices to read letters and historical elements. In The Civil War, for example, Sam Waterston read Abraham Lincoln, Jason Robards read Ulysses Grant, Morgan Freeman read Frederick Douglass, and Garrison Keillor read Walt Whitman. Since that initial success, Burns has brought his special touch to other subjects: Baseball (1994), Jazz (2001), World War II (The War, 2007), and National Parks (The National Parks, America’s Best Idea, 2009) being the most successful. It's so easy almost anyone can fix it. That's a significant secret to its success. Uploaded by americansweets.co.uk. 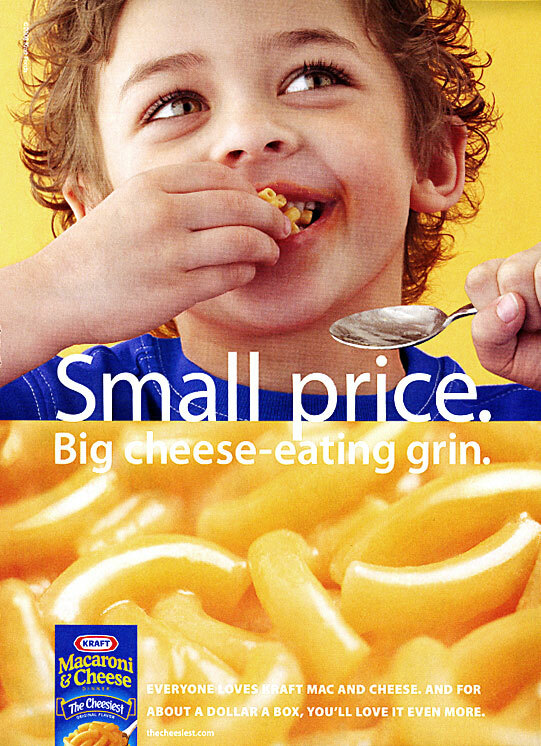 How many of us survived a part of our lives on Kraft Macaroni & Cheese! It’s so simple to prepare that kids can make it for themselves, and for many of us it was childhood we survived. For others, it was dorm life. Or the first years of marriage. Or the dilemma about what to fix that the kids will enjoy. 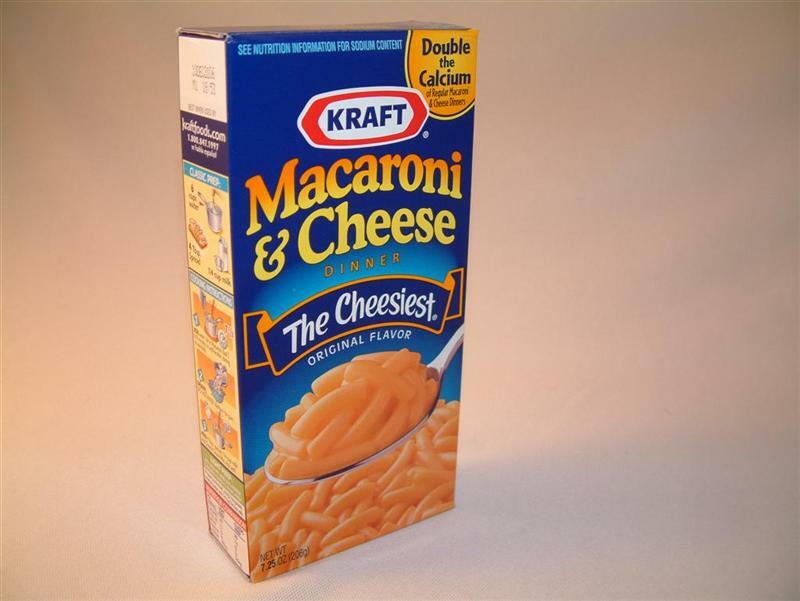 Kraft first offered the product to the public in 1937, and it was an immediate success. Not only was it inexpensive, but rationing of dairy products during World War II provided a ready market for a powdered cheese product that used little milk. Moonlight Serenade quickly became Glenn Miller's theme song, and it's probably the most memorable song from the entire Big Band Era. Uploaded by yourradioshows.com. “Moonlight Serenade” is not only one of the most beautiful songs of the Big Band Era, it’s one of the most beautiful in the history of American music. Written by Glenn Miller (Great American Things, August 27, 2009) and recorded by his orchestra, it was the number five song for the year 1939 on the Billboard chart. Lyricist Mitchell Parish. Uploaded by whowroteem.com. 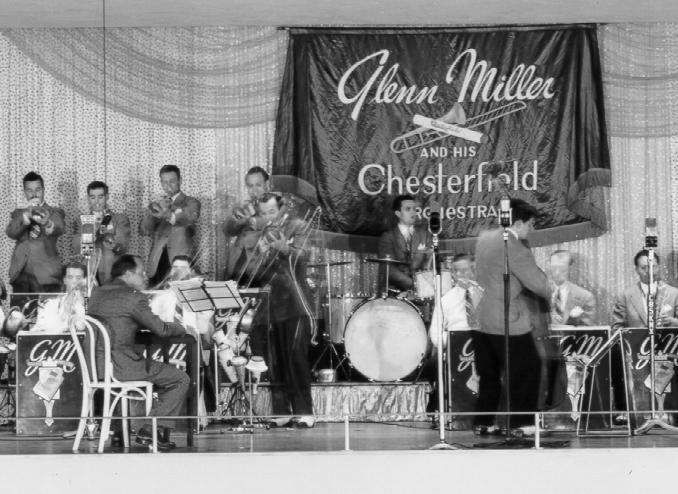 “Moonlight Serenade” became Glenn Miller’s theme song. He even used the name for his radio program that ran three times a week from 1939 to 1942. It’s always fascinating to look at a classic song and see who’s recorded cover versions. As you may expect, lots of artists have recorded “Moonlight Serenade,” but these are some of the more unexpected: Los Indios Tabajaras (Brazilian guitar duo), Taco, The Rivieras (doo wop), Buddy Emmons (steel guitar), The Ventures, Bobby Vinton, and Chicago. 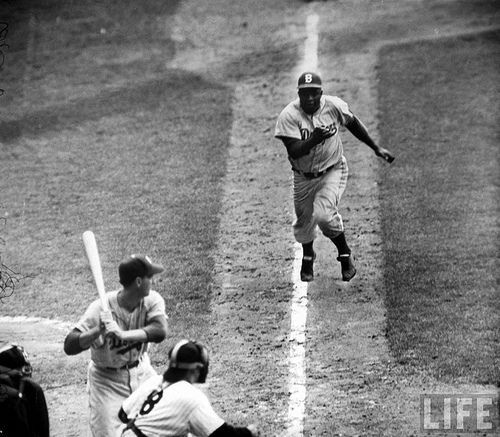 With all the abuse and vitriol hurled at Jackie Robinson during his debut season, he still performed so well on the field he was named Rookie of the Year. Uploaded by jackierobinson.com. It’s difficult for those under age 50, and especially for Caucasians under age 50, to conceive of the pressure Jackie Robinson faced when in 1947 he broke the color line in Major League Baseball. Our racial climate has improved so much, it’s hard to appreciate what Jackie Robinson endured. Branch Rickey, president of the Brooklyn Dodgers, signed Robinson. Rickey was convinced the young player had the strength of character necessary to be the first African-American in baseball since the 1880s. Indeed, Robinson was called the most vile names, but didn’t take the bait. Some of his own teammates threatened to strike, as did other teams, notably the St. Louis Cardinals. Dodgers manager Leo Durocher quashed the rebellion in his clubhouse, and Commissioner Happy Chandler threatened any striking player with suspension. Uploaded to Flickr by stechico. Robinson wasn’t merely a racial token, though – he was a bona fide star. He earned National League Rookie of the Year honors for that contentious 1947 season. He led the Dodgers to a World Series title in 1955, along with five other trips to the World Series. He played in six consecutive All-Star Games. He was the National League’s Most Valuable Player in 1949, and was elected to the Baseball Hall of Fame (Great American Things, March 26, 2010) in 1962. Jackie Robinson’s legacy goes far beyond his baseball accomplishments, of course. Besides being the first African-American elected to the Hall of Fame, he was also the first to be an analyst on national TV games. He was vice president at Chock Full o’ Nuts, and was chairman of the board of the bank he co-founded, Freedom National Bank in Harlem. 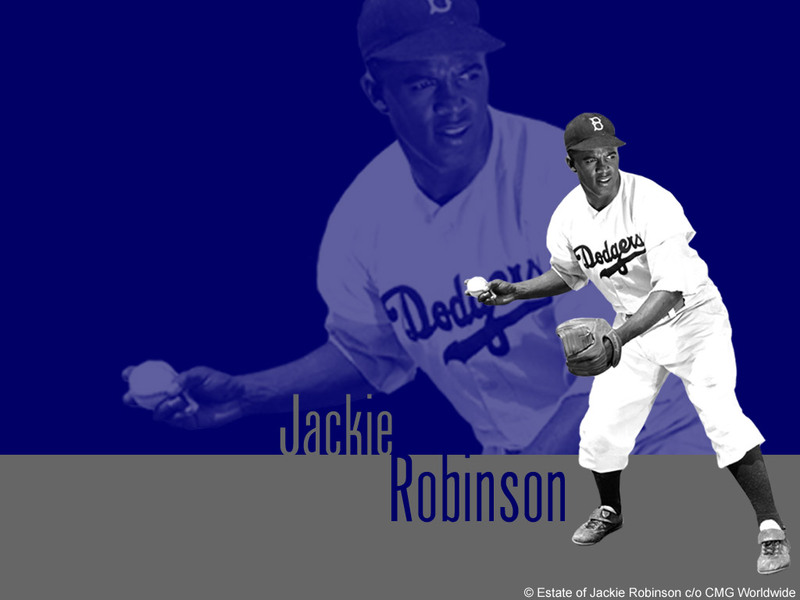 He believed in building housing for low-income families, leading him to establish the Jackie Robinson Construction Company. Disney's animation has gone downhill since The Lion King - witness Pocahontas, The Hunchback of Notre Dame, Hercules. Thank goodness for Pixar. Uploaded by blog.sanriotown.com. Walt Disney Studios was on quite a roll, with each feature becoming more sophisticated in its animation, themes, and music. The Little Mermaid began this renaissance, followed by Beauty and the Beast, then Aladdin. Then in 1995, The Lion King debuted and proved itself as the finest example of the Disney ideal in the modern era. Virtually the entire film features classic animation techniques without the aid of computers. The exception is the stampede of the wildebeests, a two-and-a-half-minute sequence that took five animators more than two years to complete. 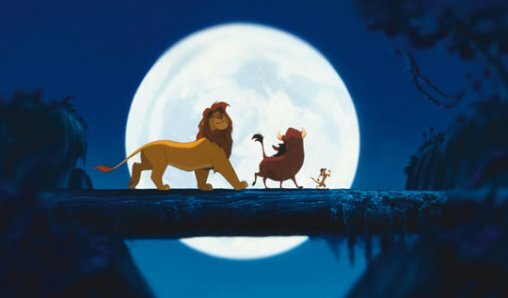 While I love the wonderful humor that Howard Ashman and Alan Menken brought to the songs in Mermaid and Beauty, there’s no question that the music written by Tim Rice and Elton John for The Lion King raised the film to a higher level. 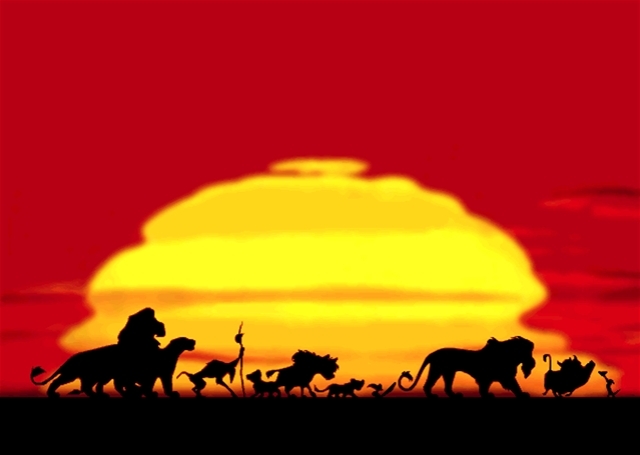 “The Circle of Life” was absolutely perfect as an accompaniment to the wonderful animation of the opening scene, while “I Just Can’t Wait to be King” and “Hakuna Matata” were witty and memorable. The Lion King achieved that elusive goal that animated movies strive for – to be entertaining to children and adults on their own levels. The box office is proof of that success. During its initial release it grossed $783 million worldwide, making it the most successful film released in 1995. Also proof are its two Academy Awards (out of four nominations) and the Golden Globe for Best Motion Picture – Musical or Comedy. Paula's gone, and the show survived just fine. Now Simon's going, and replacing him will be infinitely harder. Uploaded by bittenandbound.com. It’s trendy for people to turn their noses up at this show, it’s somehow beneath them. But its overpowering ratings in almost all demographic groups reveal its enduring popularity. It was the top-rated TV show for five consecutive seasons, a feat matched only by All in the Family and The Cosby Show. The talent show format is as old as broadcasting: Major Bowes hosted the Amateur Hour on radio, and it was continued on the Dumont Network in television, starting in 1947. The concept has continued on TV with Star Search, America’s Got Talent, and most successfully, American Idol. Idol is essentially an Americanization of the British show Pop Idol. One of the reasons for the show’s success has undoubtedly been the acerbic criticism of judge Simon Cowell, who tells contestants the truth as he perceives it without sugar-coating. The 2010 season will be his last, and the show’s producers decision on who replaces him will be critical to American Idol’s future. Winning is everyone’s goal, but history has shown that many non-winners have also had success they wouldn’t have experienced without the show. Some of these talented singers include Clay Aiken and Kimberley Locke (Season 2), Jennifer Hudson (Season 3), Katharine McPhee, Kellie Pickler, Elliott Yamin, and Chris Daughtry (Season 5), Melinda Doolittle (Season 6), David Archuleta (Season 7), and Danny Gokey (Season 8). So far, American Idol participants have won one Academy Award, 8 Grammys, 15 American Music Awards, and 38 Billboard Music Awards. Uploaded to Flickr by PhotojProf. 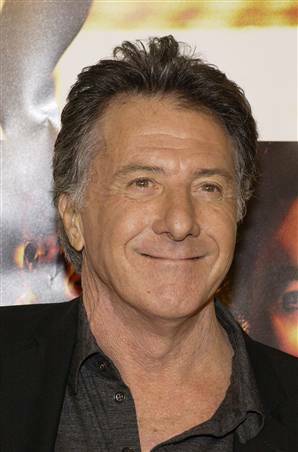 Dustin Hoffman's first two major roles were in The Graduate and Midnight Cowboy. They couldn't have been more different, and he aced both. Uploaded by vipwallpaper.com. 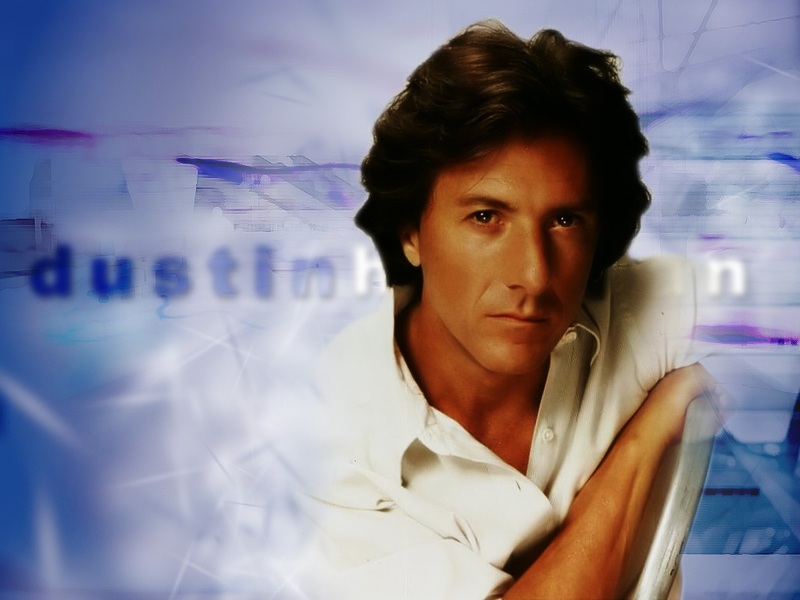 The first film I saw with Dustin Hoffman in the lead was The Graduate (Great American Things, November 15, 2009), and I completely believed him. The next role I saw him handle was Ratso Rizzo in Midnight Cowboy. The parts couldn’t have been more different, and yet Hoffman was masterful in both. It was clear he’d be around for a long, long time. He’s never allowed himself to be typecast, as you can see by these major parts he’s played: Jack Crabb in Little Big Man; Louis Dega in Papillon; Carl Bernstein in All the President’s Men; Babe Levy in Marathon Man; Ted Kramer in Kramer vs. Kramer; Dorothy Michaels in Tootsie; Raymond Babbitt in Rain Man. His consistent excellence has certainly been recognized by the Hollywood establishment. He’s been nominated for seven Academy Awards, and won two – for Kramer vs. Kramer and Rain Man. He’s also won five Golden Globes, and received a Life Achievement Award from the American Film Institute. He was named the 28th greatest movie star of all time by Entertainment Weekly.